French MP Meyer Habib responded Wednesday afternoon to the cancellation of French Prime Minister Edouard Philippe's trip to Israel. 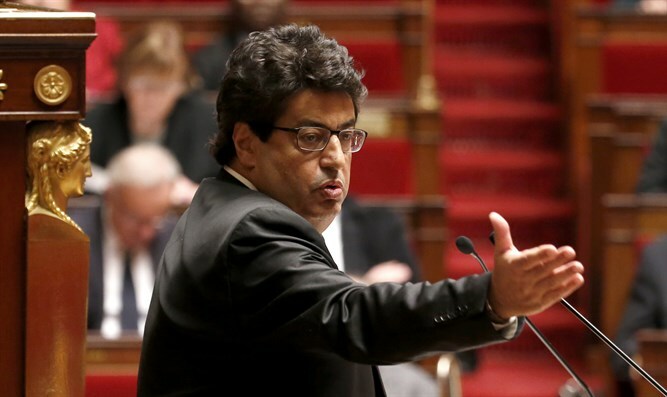 “As a member of parliament representing [French] citizens living in Israel, I am very sorry about this,” Habib said over the cancellation. He said it was a double disappointment. "The visit of the prime minister to the launch of the combined Israel-France Joint Season was highly anticipated among Israelis and French alike. This could have been an opportunity to strengthen the relations between the two countries after France's disappointing denunciations of Israel regarding the situation in Gaza, and cancelling the trip adds nothing to the atmosphere. In my view, France’s condemnations are incomprehensible. Israel has the right to defend its citizens against the aggression of Hamas - a terrorist organization, one might add. " Habib also called on France to change its policy of permanent condemnation. "Beyond the blatant injustice of the subject, one must be very careful in accusations against Israel, and unfortunately we have already been exposed to the destructive influence of the conflict in France: from calls of ‘death to Jews’ in the streets of Paris to cold-blooded murder of children and adults just because they are Jews. I repeat that the terrorists who committed the worst attacks against Jews in France, admitted that they were acting on behalf of the Palestinian people. "